The administration has the last word in these negotiations, with the legal authority to impose its last best offer if we had not reached an agreement. In light of that, this was judged to likely be the best possible agreement we could have gotten. Best possible means it limits the damage, not that we were able to keep the parking rate low. We knew entering negotiations that we could not win the rates we wanted short of an insurrection led by the students. That has not happened and does not seem likely to happen. If this agreement is not ratified, not only will our parking fees be higher than the agreement specifies, there will likely be no discounted passes for associate lecturers and part-time NTTs—our lowest paid members. In addition, the universities last best offer included an escalator, which means that parking fees can go up every year without bargaining, beginning July 1, 2020. We decided to negotiate in coordination with the staff unions, not in coalition. We did this regretfully for a number of reasons: our constituency (faculty) is not the same as the staff unions; we felt that, though we all want the lowest rates for parking, their method of bargaining was too different from ours; that being in coalition would have given the other unions a veto power over our best judgment; and that we would be able to secure a better deal for our members by bargaining separately. Our parking agreement is based on the special work conditions of faculty. 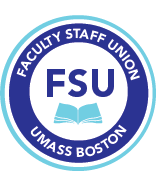 Faculty are on campus an average of three days a week, while the members of the other unions come in 5 days a week. This means that our bargaining priorities are quite different than that of the other unions, and means that we pursued a different strategy. The rates we agreed upon are based on an average of three days a week, but allow us to come 7 days a week for the price of three. How could we not present this deal to the members, even if it will not be offered by the administration to the other unions, who work five days a week throughout the year? Our agreement was designed to the best of our ability to not hinder the bargaining of the other unions. The charges that are being leveled against the bargaining team from some quarters about our agreement having a negative effect on the other unions are incorrect. Voting against our agreement will do nothing to help the other unions. We have been and will continue to be in solidarity with the other unions, will continue to work with them, and hope that their negotiations with the administration will give them the best deal possible for their members. We expect to secure the lowest rate for our handicapped members who must drive. The administration will meet with us before the new rates take effect to iron out the handicapped rates. The delay in agreeing on HP rates was requested by the administration which wanted to investigate some of the legal aspects of an agreement on HP rates. Because the university can impose its last best offer if this contract is rejected, which means that parking fees will continue to increase every year, starting in only six months, we recommend a yes vote.